Link included in images (i.e.) ebay image of searched item with link to item, do not function. a click on them does nothing. Instead of a screenshot, do you have the actual URL of the search result containing images with non-functional links to items? 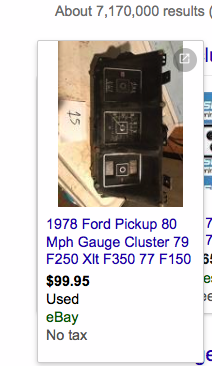 If I do a search on eBay and click on the images they work, i.e. I can't reproduce your problem right now.